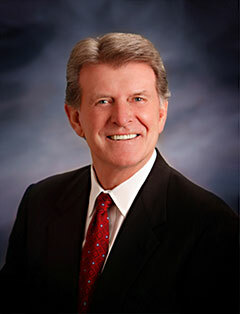 We are saddened to report the passing of a good friend and colleague, Joe Schroeder, W9JUV. Joe was an accomplished DXer, Motorola engineer and ham radio journalist. He was on the editorial staff of ham radio magazine and was the founding editor of HR Report, a newsletter published by ham radio. According to his biography on QRZ.com, Joe was also Managing Editor of Electronic Instrument Digest magazine. He was also an authority on firearms history and gun collecting, and wrote &/or edited many books and article in that field as well as in electronics. When two bombs exploded near the finish line of April's Boston Marathon, the first thing ham radio net controllers did was check in on each of the 250 ham volunteers working the course to make sure they were OK (they were). Next, according to reports from ARRL and Newsline, the hams continued providing communications as police halted the race and runners began to congregate at first-aid and water stations along the route, all of which had ham stations as well. The hams kept runners updated on events and coordinated deployment of "sweep buses" to transport runners still on the course to pre-arranged meeting areas. Hams in the finish line area remained at their posts and provided communications as needed from the medical tents until police - fearing additional explosions - ordered everyone evacuated. A powerful earthquake - measuring 7.0 on the Richter scale - struck China's Sichuan province on the morning of April 20, resulting in nearly 200 deaths, more than 11,000 injuries and an estimated $3 billion in damages. This is the same region in which a massive quake five years ago killed more than 90,000 people. Ham radio operators from the Chinese Radio Sports Association and the Chinese Radio Amateur Club immediately went into action, providing emergency communications on both HF and VHF, according to WorldRadio Online Newsfront and other sources. The FM repeater in hard-hit Ya'an City was still functioning after the quake and carried much of the local radio traffic. Hams were also pressed into service to provide traffic control to speed the delivery of emergency supplies. Two DXing organizations used the forum provided by the 2013 International DX Convention in Visalia, California, to announce the launch of a "sustained and ongoing effort" to organize a major DXpedition to North Korea (P5). 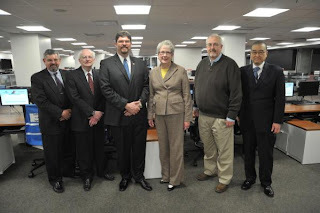 The Intrepid-DX Group and the World-Wide DX Group issued a joint statement in which they said discussions have been under way for four years with business and tourism professionals who regularly do business in North Korea, that several group members and advisors have made multiple visits to the country, and that a comprehensive proposal for a four-week ham radio operation had already been delivered to officials of the Democratic People's Republic of Korea through a Chinese emissary. "We are committed to work as hard and as long as it takes to activate this rare and much needed entity," said the statement. P5 is at the top of virtually every DX "most-wanted" list. Over-the-horizon radar, whose rat-a-tat sounding signals got them dubbed "woodpeckers" back during the Cold War, appear to be back on the ham bands. Newsline reports that the International Amateur Radio Union's Region 1 Monitoring System has discovered two such systems in operation - one on 80 meters (from 3,555-3,590 kHz and 3,750-3,785 kHz) that it says has been traced to Russia, and another on the 10-meter band that seems to be originating from Iran. The report says the Russian Radio Society has been asked to help deal with the 80-meter interference and that Germany's Department of Post and Telecommunications has sent an official complaint about the 10-meter signals to its counterpart in Iran. The FCC has issued a Notice of Inquiry seeking input on possible changes to its rules regarding exposure to RF radiation. Specifically mentioned for additional review is the current provision in the amateur radio rules which consider an amateur's home to fall under less-restrictive "occupational/controlled" exposure limits, while areas outside the amateur's property are subject to the stricter "general population/uncontrolled" limits. For specifics, see ET Dockets 13-84 and 03-137, on the FCC website, <www.fcc.gov>. Craig Fugate, KK4INZ, Administrator of the Federal Emergency Management Agency (FEMA), told ARRL officials at a March meeting that he was looking forward to operating during Field Day this month and to have an opportunity to "test my own field gear." He did not indicate whether he would be operating on his own or with a group. According to the ARRL Letter, Fugate met with ARRL President Kay Craigie, N3KN; Chief Executive Officer Dave Sumner, K1ZZ, General Counsel Chris Imlay, W3KD, and Emergency Preparedness Officer Mike Corey, KI1U, to discuss amateur radio's role in public service and disaster communications. Fugate has long been an outspoken advocate of amateur radio as a communications resource "when all else fails." The ARRL Letter reports that former ARRL Communications Manager George Hart, W1NJM, passed away in late March at age 99. Hart spent more than 40 years on the ARRL staff and is credited with developing the National Traffic System, the league's organization of local, regional and national nets for passing radiogram traffic across the U.S.
Also reported as a Silent Key is Wendell Morrison, W7LLX, of Waukesha, Wisconsin. Morrison spent his career working for RCA, where he invented the Antennalyzer, which the Letter describes as "an early analog computing device for designing multi-tower AM directional arrays." He was 97 when he passed away last October. Organizers of the 2014 World Radio Teamsport Championship, an international contesting competition that takes place every four years, are seeking applicants to be station referees. The referees monitor competitors at each station to assure that they are in compliance with all WRTC rules. Next year's event will take place in New England. Referees must be: able to travel to Massachusetts next July; fluent in English; able to effectively monitor two audio streams at the same time; proficient in both SSB and CW contesting; able to stay awake and focused for 24 hours; able to send SMS text messages, not have any hearing impairments and never to have received a red card contest penalty or more than two yellow cards. Applications must be submitted by December 1, 2013 and may be downloaded from <http://bit.ly/10hKUCo>. The FCC has granted the ARRL's request to allow certain TDMA transmissions on the amateur bands, but denied a petition for reconsideration of the Commission's earlier decision on Broadband over Power Lines, or BPL. According to the ARRL Letter, the FCC OKd a temporary waiver to permit the use of single-slot Time Domain Multiple Access transmissions on amateur frequencies above 30 MHz. A proposal to permanently authorize amateur use of this digital mode is currently pending before the Commission, suggesting that its eventual approval is likely. The Letter also reports that the FCC has again denied an ARRL Petition for Reconsideration of its ruling on BPL. The Commission said the petition did not "raise new arguments based on new information … nor does it demonstrate any errors or omissions in the Commission's previous decisions." The ARRL says it will continue to "vigorously guard against the abuse and pollution of the radio spectrum in the use of BPL technology." A new law in Idaho makes clear that amateur radio and CB towers are exempted from another state law that requires all guyed towers to be "lighted, marked and painted and otherwise constructed to be visible in clear air during daylight hours from a distance of not less than 2000 feet." According to the ARRL Letter, the original law exempted some telecommunications towers, and the new law signed April 1 by Governor C.L. "Butch" Otter specifically defines amateur radio and CB towers as among those exempted from the earlier law's provisions. All towers, of course, continue to be subject to FCC and FAA requirements. As of May 20, 2013, the FCC will stop accepting applications for First Class, Second Class or Third Class Radiotelegraph Operator certificates. The ARRL Letter reports that current certificates will remain valid until expiration but will be renewed under a new licensing plan in which the old First Class and Second Class commercial licenses will be merged into a new Radiotelegraph Operator License, while the Third Class license will be consolidated with the Marine Radio Operator Permit and all current Third Class licenses will be renewed as Marine permits. This move is similar to FCC action more than 25 years ago on commercial radiotelephone licenses. The FCC has determined that many small satellite projects, such as university-built cubesats, do not really qualify for licensing under as amateur satellites and must instead apply for experimental licenses. According to the AMSAT News Service, these satellites would still be permitted to operate in amateur satellite spectrum. 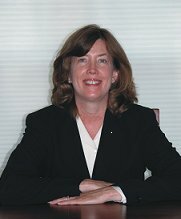 However, ANS says the International Amateur Radio Union's Satellite Advisory Panel is concerned that it may no longer be appropriate for it to serve as frequency coordinator for what the FCC now views as non-amateur satellites. experimental licenses, not amateur licenses. 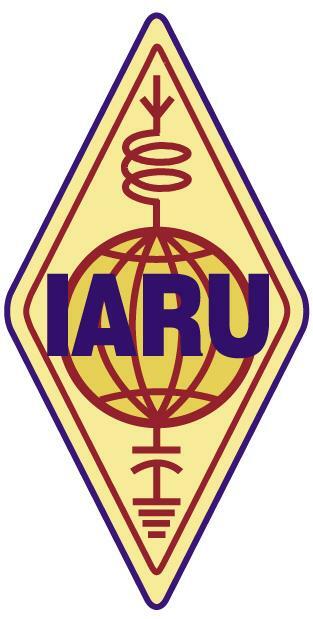 The IARU is urging all national amateur radio societies to work with their telecommunications administrations to find alternative frequencies for experimental satellites and to get a permanent allocation for them onto the agenda for one of the next two World Radiocommunication Conferences, either WRC-15 or -18. In the US, AMSAT and the ARRL are working together with the FCC to find both short-term and long-term solutions to this situation. AMSAT points out that having university satellites under the amateur satellite umbrella has resulted in many benefits for both amateur radio and the universities involved. 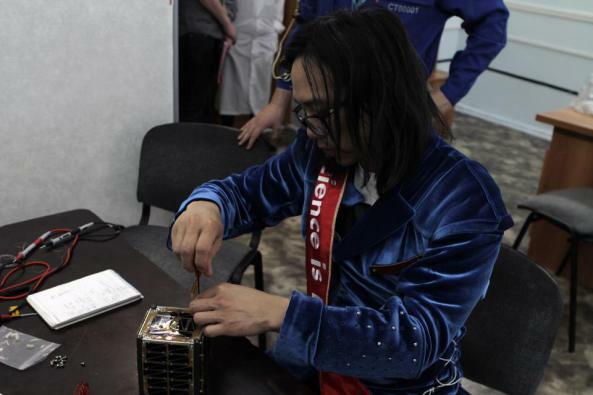 Two launches in two days from two different sides of the world have put seven new amateur radio satellites in orbit. 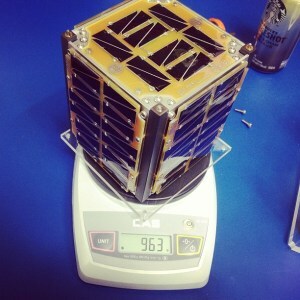 performs final assembly of his OSSI-1 satellite. Four ham-sats, along with three research satellites, were launched on April 19 from the Baikonur launch complex in Kazakhstan. Among them is OSSI-1, designed and built in Korea by artist Hojun Song, DS1SBO, using only open-source materials (OSSI stands for Open Source Satellite Initiative). AMSAT-UK reports that Song spent seven years and $100,000 on the project, and Newsline says it's believed that this is the first ham satellite to be developed and built by just one person. More information is available on the OSSI blog at <http://opensat.cc/blog/>. An April 21 launch from NASA's Wallops Island Flight Facility in Virginia lofted a trio of "phonesats" into orbit, so-called because they are built around off-the-shelf smartphones. NASA says the phones' abilities to send and receive calls and texts were disabled before launch and that they were connected to higher-powered (amateur) transmitters. The three phonesats were dubbed Alexander, Graham, and Bell. Graham and Bell were sending photos from their smartphone cameras via AX.25 packet. For more info, see <www.phonesat.org>. As it approaches its centennial in 2014, the ARRL has launched the Second Century Campaign in an effort to raise $10 million to assure funding of future programs. According to the ARRL Letter, the campaign has already raised over $4 million in donations and pledges, and hopes to raise the remaining $6 million by the end of its centennial year. "@KB1REQ: All #HamRadio volunteers for the #BostonMarathon are safe. We complied with evacuation orders, not an incident for us to be involved in." Update ... CBS News is reporting that Boston Police says there are at least two deaths and 22 injuries as a result of explosions near the finish line of the Boston Marathon; and that Marathon officials are describing the blasts as being caused by bombs. Still no word on whether any hams were among the injured. The Associated Press is reporting two explosions at the finish line of today's Boston Marathon, resulting in an as-yet unknown number of injuries. Amateur radio operators have long provided course communications for the event and we assume there were hams among those at the finish line. We do not know at this time whether any hams were among the injured. Updates will be provided here as additional information becomes available. The Dayton Amateur Radio Association, sponsor of the annual Dayton Hamvention (R), has withdrawn its 2013 Radio Amateur of the Year Award, initially awarded to Mustapha Landoulsi, DL1BDF. According to a post on the Hamvention website: "We have received conflicting information from credible sources regarding the accuracy of the winning nomination. The General Chairman of Hamvention this year, Charles Kaiser, received these reports and followed up to verify their accuracy. Unfortunately this changes the way we score for the Amateur of the Year award and since the competition was close with other nominees the outcome would have been different. Based on all of this research the decision has been made by the Hamvention General Chairman not to award the Amateur of the Year for 2013." Landoulsi, a retired airline pilot, had been recognized for work in promoting and developing amateur radio in the Middle East and for organizing delivery of emergency medical equipment and medication to countries in Africa.